Poor cleaning and maintenance routines can leave your vinyl floor looking dull, streaky or damaged. Here we look at six tips that will preserve your vinyl floor for many years. Make sure you wring your mop out fully, as any excess water from your mop will make its way into the cracks and seams of the floor, destroying the glue bond that holds it down. This will cause the edges to lift and curl. Always make sure you rinse off any soap after cleaning, as soap scum attracts dirt. Always have two floor mops, one for washing and one for rinsing, or stick to damp mopping with just water unless it needs a deep clean. Most vinyl floors have a clear, shiny, polyurethane coating that does not need waxing. If you try, you will find the wax won’t adhere properly and you will end up with a mess. 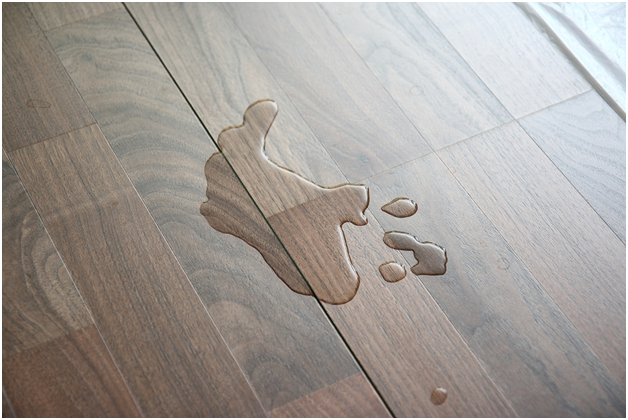 If the vinyl flooring loses its original shine, try restoring it with a no-wax flooring sealant or polish or visit an online supplier such as http://www.ukflooringdirect.co.uk/ for replacement options. Large appliances and heavy furniture, such as refrigerators and tables, tend to occupy the same spot in your room and will dent your vinyl floor quite quickly. These dents can be prevented by fitting heavy items with floor protecting feet, which are available at most hardware and DIY stores. Casters and vinyl floors are a disaster ready to happen, as the rolling action of the casters can damage your floor by scratching or ripping the surface. We advise removing the casters and replacing them with felt pads, which are much kinder to your floor. If you need to move any of your big appliances around, it is a good idea to use a plywood path. Big appliances are often too heavy to lift; however, by pushing or dragging them over a vinyl floor, you risk ripping, scuffing or scratching the surface. We therefore advise laying a sheet of plywood across the proposed route and using this to protect the flooring. It is easy enough to ‘walk’ or push your appliance along the plywood path without risking damage to your floor. Next Story → Living with diabetes: how should we care?